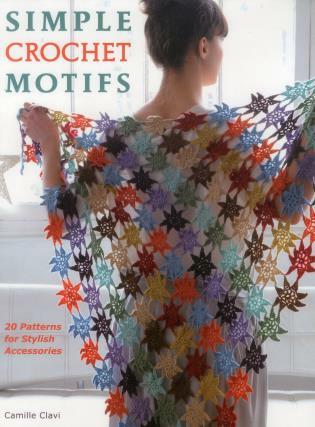 This book presents 10 motifs for the intermediate crocheter: hexagons, flowers, stars, overlapping squares, medallions--everything but the basic granny square. Along with each motif are given two patterns for accessories, including scarves, hats, bags, and sweaters, that can be made from it, with complete information on how many motifs to make, how much yarn is needed, and how to put the motifs together. A great introduction for the crocheter who wants to get started working with motifs. Camille Clavi is the author of First Steps in Knitting. She lives in France.